This unique program allows students to explore what they are made of and to revel in the thrill of a difficult task mastered like bridling, posting at the trot, and jumping a four-foot fence as well as the simple joys of having your horse lean into your grooming tool, caring for a wound and seeing it heal, and hearing your horse nicker to you as you walk down the barn aisle. The OVS Equestrian Program begins in the primary grades at our Lower Campus, where our littlest students in grades PK-3 visit the barnyard once a week to learn beginning animal husbandry. The barnyard is home to numerous ponies and horses. Beginning riding sessions are held once a week for the 2nd and 3rd grade classes. The program expands in grades 4-5, where students can choose to attend riding classes three days a week, in place of traditional P.E. The classes are open to all levels of riders, and students sign up during the first day of each academic quarter. Riders are accepted on a first-come basis, as long as space is available. Each student must have his/her own riding boots and an approved riding helmet. In middle and high school, grades 6-12, students can choose to ride as their sport. 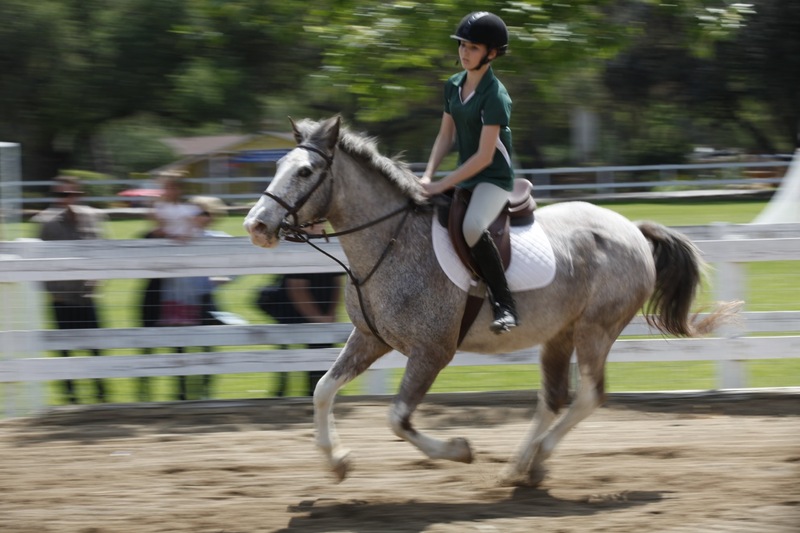 The schedule typically allows for daily riding classes, private lessons, as well as recreational riding on Saturdays for middle and high school students enrolled in the OVS Equestrian Program. Instructors assign a horse to each student, and it is the student’s responsibility to help care for this horse, including grooming and riding. Students can also opt to bring their own horses to school. Across the grade levels, the OVS Equestrian Program is led by professionally trained instructors who teach a course of study that stresses safe, effective horsemanship, equitation on the flat, over fences and on the trail, as well as horse and stable management. It must be stressed that being an academic school, not a riding stable, the focus is on equestrian education with competition being only one aspect of the total educational experience.